WAIPA IN REAL LIFE: BACK TO "THE ARENA!!!" FIRST OFF, I'D LIKE TO EXPRESS GREAT THANKS AND APPRECIAITION TO ALL OF YOU WHO WAS TOUCHED BY MY LAST RECENT POST ON MY NEICE, MIA. INDEED IT WAS A TRAGEDY BUT IT WAS ALSO A REMINDER THAT WE ALL MUST CONTINUE TO LIVE AND MAKE THE BEST OF OUR LIVES REGARDLESS OF THE PAINS AND SORROWS THAT COMES BEFORE US. IT IS AT THESE "MOMENTS" IN LIFE THAT WE ARE TO LEAN ON GOD FOR STRENGTH AND COMFORT WHICH BUILDS OUR RELATIONSHIP WITH GOD AND BRINGING US CLOSER TO HIM. AGAIN, FROM THE BOTTOM OF MY HEART... THANK YOU... THANK YOU... THANK YOU FOR ALL YOUR KIND WORDS AND COMMENTS. YOU ARE ALL FOREVER CHERISHED AND UNFORGOTTEN IN MY HEART. HMMM... WHERE DO I BEGIN??? AS ALWAYS... I'M STILL LOVING IT UP AT "ALASKA AIRLINES". I CAN FINALLY SAY IT NOW... I'M FINALLY BACK IN TRANING "FULL-TIME!!!"... YEAH... "FO'REAL!!!"... LOL!!! I'M BACK RUNNING AGIAIN AND STARTED "COMPOUND MOVEMENTS" TRAINING!!! GOTTA HAVE ONE OF MY NUMEROUS "PRE-WORKOUT" SHAKES VARIATIONS. HERE ARE SOME OF MY POWER MEALS EITHER "BEFORE" OR "AFTER" WORKOUTS!!! MMM... STEAK & EGGS... "PROTEIN POWER!!!" HERE IS ONE OF MY ALL TIME FAVORITES BECAUSE ITS QUICK AND FAST!!! I STARTED TO INDUCE "CAFFIENE" INTO MY SYSTEM AS A NATURAL "UPPER" AND "PRE-BOOSTER" BEFORE I BANG MY WORKOUTS VERSUS THE "SUPPLEMENTARY TYPES" SUCH AS "CELLUCOR C4" WHICH GIVES ME THE JITTERS EVERY NOW AND THEN WAY AFTER MY WORKOUTS ARE DONE!!! LIKE I SAID BEFORE, I'M BACK INTO "RUNNING" AGAIN TO ADD CARDIO TO BURN FAT AND STRENGTHEN MY "CONDITIONING & ENDURANCE!!!" GOTTA LOVE AN AFTER WORK JOG!!! ITS ONLY GOING TO GET BETTER IN TIME!!! ONE OF MY MANY ROUTES THAT I GO RUNNING TO!!! GOTTA ENJOY THE LAST OF THE SUMMER DAYS BEFORE FALL APPROACHES!!! I'M SO HAPPY TO BE BACK RUNNING AGAIN!!! IT DEFINITLEY UPS MY CONFIDENCE AND MY GAME!!! GOTTA LOVE MY "ISLAND GRINDS!!!" SOME YUMMY SOFT TACOS FROM MY GOOD BUDDY AND ALASKA AIRLINES CO-WORKER, ALFRED... "ONOLICIOUS!!!" I JUST HAD TO TAKE THIS PIC WITH BYRON... LOL!!! THE LEGEND AND AWESOME FATHER TO COLE NANCE... ROGER NANCE!!! ONE OF THE COOLEST GUY I EVER MET!!! WHERE THERE IS FISH... I AM THERE!!! 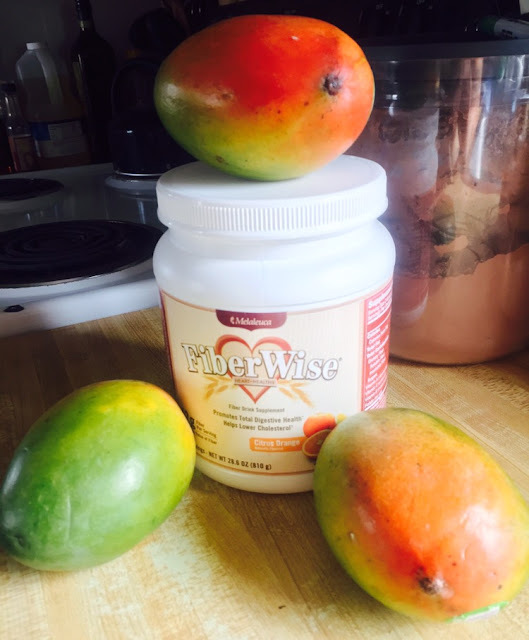 YES... MANGOS, MANGOS, MANGOS WITH FIBERWISE = KILLER PRE-BOOST DRINK!!! ONE OF MANY "POST-WORKOUT" MEALS... HIGH IN "PROTEIN!!!" CHICKEN TENDERS IN KIM CHEE SAUCE!!! MY COUSINS, MELAREE AND MELISSA COMPETED IN THEIR FIRST "SPARTAN RACE!!!" I WAS SO JEALOUS BECAUSE I WAS SUPPOSE TO BE THERE TOO BUT DUE TO UNFORSEEN AND UNEXCUSABLE CIRCUMSTANCES... I HAVE ABSOLUTELY "NO EXCUSES" AND THEY DESERVED AND EARNED THEIR MEDALS!!! BUT YOU CAN COUNT ME IN FOR NEXT YEAR'S "SPARTAN TRIFECTA 2017!!!" I'M GONNA CLAIM MY MEDALS!!! KAHEALANI BACK TO SCHOOL WITH HER COUSIN KAIRAH!!! I WAS ALSO INVITED TO A "TEA BIRTHDAY PARTY"... KEZIAH'S BEAUTIFUL AND LOVELY BIRTHDAY PARTY... SHE TURNED 2 YEARS OLD!!! ISN'T THIS TOO CUTE TO EAT??? THIS SALAD IS NOTHING BUT TROUBLE FOR THE "HEALTH & FIT" CROWD!!! STAY AWAY FROM THESE, THEIR BETTER AND YUMMIER THAN "CINNABONS!!!"... NO JOKE!!! AND SCONES WHERE TOO GOOD TO PASS UP... THANK IT WAS ON MY "CHEAT DAY!!!!" THANK YOU VALERIE AND OHANA FOR HAVING ME OVER, THIS WAS SUCH A CUTE EVENT TO ATTEND AND I ENJOYED EVERY MINUTE OF IT!!! LATER ON IN THE EVENING, I WENT TO A FRIEND'S TO GO WATCH "UFC 202!!!" GOTTA LOVWE THIS PIC... MY AND THE GIRLS ENJOYING THE UFC FIGHTS WHILE BYRON IS COOKING AND CLEANING IN THE BACK... LOL!!! AM I SUPER LUCKY OR WHAT??? THANK YOU BYRON & RANDI FOR HAVING ME OVER!!! IT WAS SUPER FUN AND HILARIOUS!!! NATE DIAZ IS STILL THE BETTER FIGHTER AND WILL ALWAYS BE!!! "22 MINUTES HARD CORP" BY THE LEGENDARY, TONY HORTON!!! MY NEWEST ADDITION TO "MY ARENA!!!" A TYPICAL DAY AFTER TRAINING... SUPER EXHAUSTED BUT SUPER GOOD TOO!!! AND THAT PRETTY MUCH SUMS UP MY 2 WEEKS!!! I WILL CONTINUE TO TRAIN AND KEEP IMPROVING AND UPPING MY GAME TO INCREASE MY MOMENTUM AND PERFORMANCE!!! PATIENCE IS THE KEY AND I AHVE A LONG WAYS TO GO!!! JUMP ON AND ENJOY WITNESSING AND SUPPORTING "MY JOURNEY" TO "SPARTAN TRIFECTA 2017 IN HAWAI'I!! !